The U.S. Small Business Administration offers technical assistance, a variety of loan and other financing programs, and other resources to help a business get started and grow. Their business guide features many articles on starting and managing a business. SCORE is a nonprofit association that provides education and volunteer mentors for entrepreneurs. Mentors are available to deliver free help both by email and in person, and they provide templates for business plans, finances and sales spreadsheets in their template gallery. The U.S. Small Business Administration has a Business Plan Tool that provides a step-by-step guide to writing a business plan. You write the plan by answering questions, and save it on-line so you can return later to edit or update. You must first register for a free account. 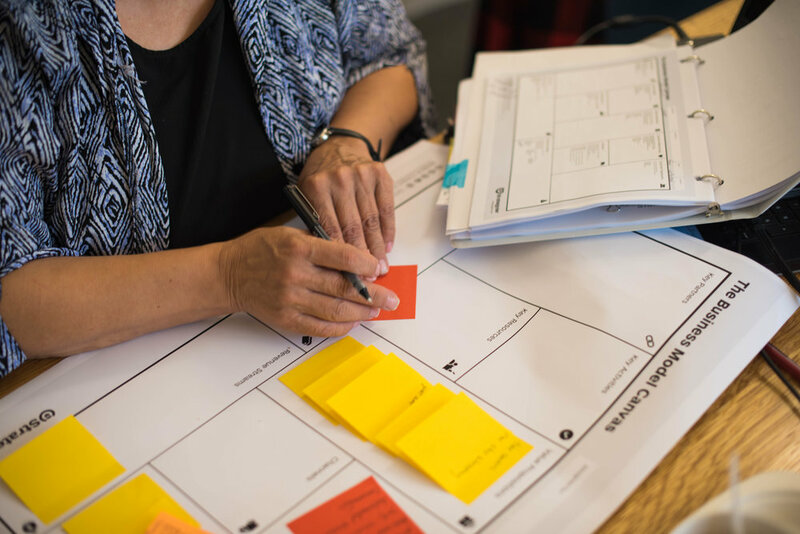 The Business Model Canvas is a helpful tool for mapping out the key components of a business plan, allowing you to describe, design, challenge, invent, and pivot your business model. Check out this 2-minute video to learn more. This 9-minute video provides further detail. Bplans.com has free examples, guides, and courses on writing business plans. The US Department of Commerce's National Telecommunications and Information Administration provides a thorough business plan outline. SCORE provides templates for business plans and financial statements. SME Toolkit provides guides, templates, and tools for starting a business and growing sustainably. Entrepreneur provides business info, articles, and business forms and templates.